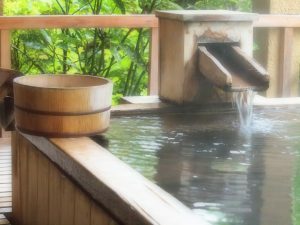 I think that people will often suffer from atopy.I also one of such atopic patients, but I heard that Japan’s hot spring seems to act to atopy. Atopic dermatitis is exacerbated by the Staphylococcus aureus growth on the skin surface . Acidic hot springs is excellent in bactericidal effect of this Staphylococcus aureus. All of the hot spring does not always act to atopy.When I asked about the famous hot springs that act on atopy to many Japanese, they answered “Kusatsu Onsen(hot spring)”. 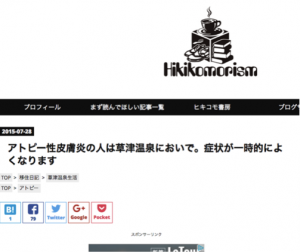 Certainly, there were a lot of articles about “the Kusatsu Onsen”. 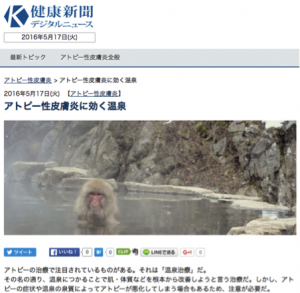 Person who is suffering from atopic dermatitis, please come to the “Kusatsu-Onsen”. Symptoms will be temporarily well! Anyone who “want to relax in the hot spring.” “want to cure atopic” , how about trying to go to Kusatsu Onsen? ← Made in Japan Condoms Best 3!